The age-old question most full-time travelers are asked is how they manage to make a living to earn the money to continue traveling. It’s often a subject which has baffled us for many years and the answer will probably never become entirely apparent until your arts to travel for a more extended length of time for yourself. 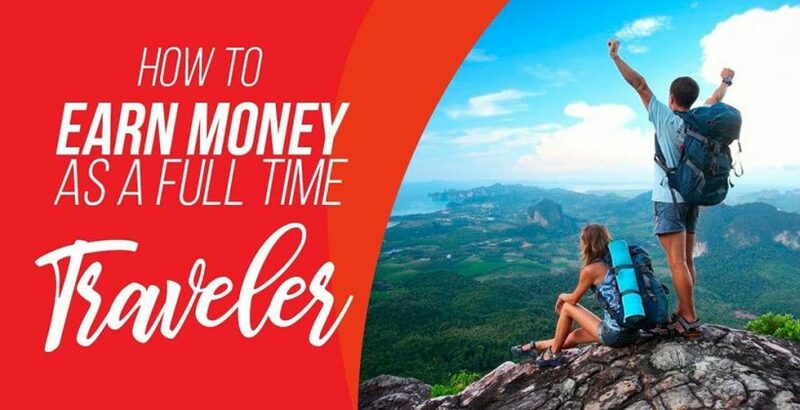 Though we would never actively encourage anyone to give up their paid employment and head off to travel without any financial backup plan, here are some of the ways which we believe these most seasoned and experienced of full-time travelers earn their keep while away from their homeland. A considerable number of people who own their own home can attempt full time traveling by renting out their home to others and using this money to fund their traveling lifestyle. Though it may take a little bit of preparation beforehand to get this done correctly and keep it legal, with the introduction of Airbnb to the world of accommodation, this is indeed a viable path these days! Take a look through the site and get an idea of what you could expect to make, looking at those home with similar structures and offerings to your own. Maybe you have prior skills and knowledge in writing, web design, web development, marketing, accounting, admin support or customer service? If so, many freelancing platforms are looking for people such as yourself to work from anywhere in the world delivering their work online. Websites such as Upwork are the more reputable of sites like this that will accept you from anywhere in the world if you have the relevant skills. Al you need is a laptop and internet connection, and you’re good to go! It would seem that everyone in the world is blogging right now, but this isn’t such a bad idea if you want to travel and earn a little. A high-quality blog can be used to generate adverts, promotions, and service which allows companies and business to promote their products and services through your blogging efforts. However, it is worth bearing in mind here that blogging will only yield a small revenue. If you expect to live off these proceeds, you may be severely disappointed. That’s not to say that you can’t aim to create the most well-read blog, all it takes is dedication and commitment and a willingness to blog as much as you regularly can, and you could soon see your popularity grow and look towards capitalizing on it.